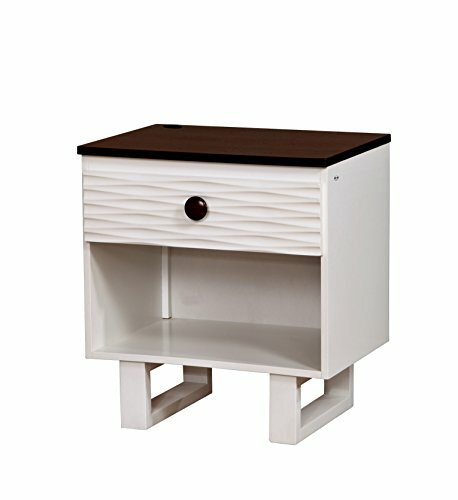 The Merriam nightstand features unique grooved design with a distinguished dark walnut and white finish. A spacious storage drawer provides ample room to organize while its generous top surface and open shelf leaves room to decorate. Resting on distinguished geometric legs, the Merriam nightstand delivers eye-catching design to your bedroom style.